Although this Pontoon Float Bridge has no specific prototype, it can be used in many locations and on many types of waterways from ocean harbors to large rivers to large lakes. 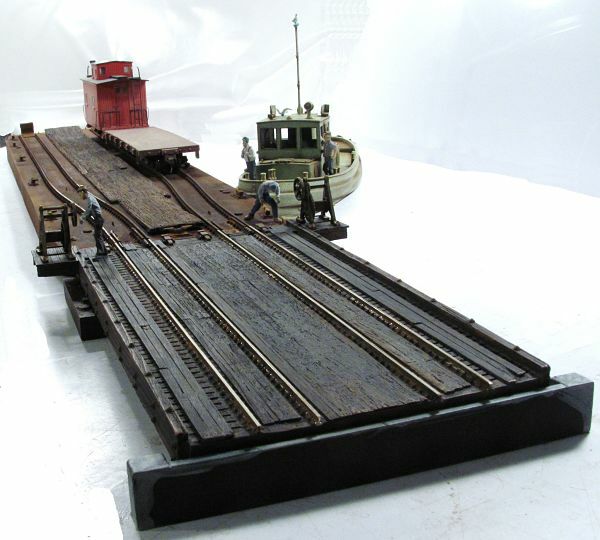 It would look at home on any era On30 train layout where your On30 railcars need to be transported across a waterway. 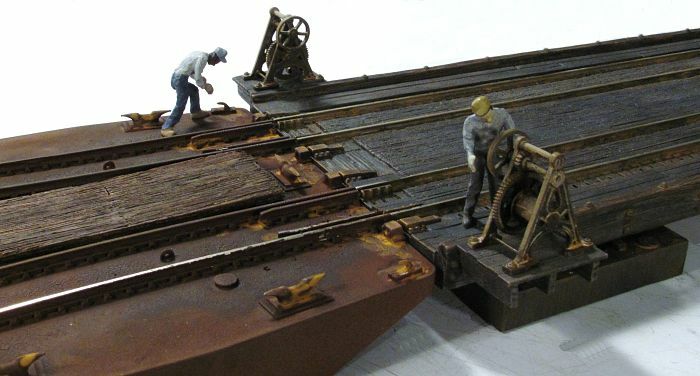 This bridge is designed to be used with the Frenchman River Model Works On30 2 Track Carfloat kit. This wooden float bridge kit comes equipped with 2 highly detailed hand winch kits for cinching the carfloat securely up to the bridge. 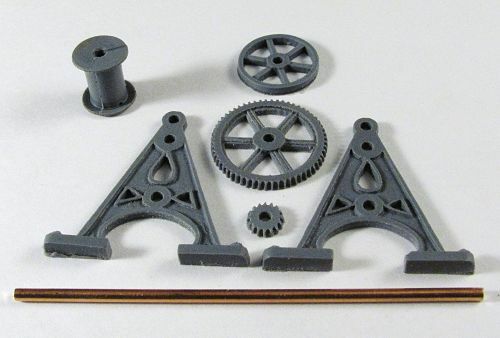 These kits will add great detailing and action possibilities to any layout. 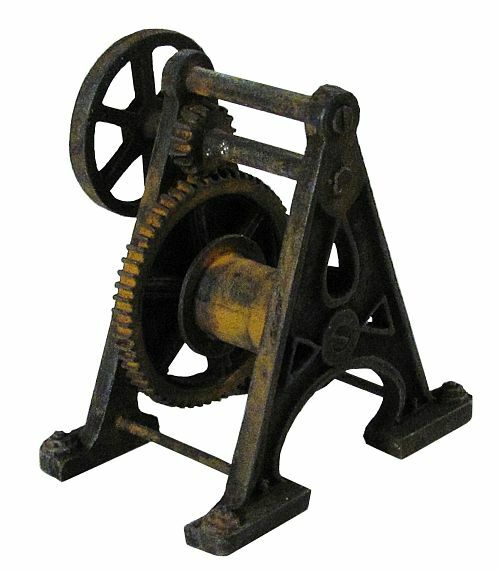 Additional hand winch kits are available from Frenchman River Model Works. 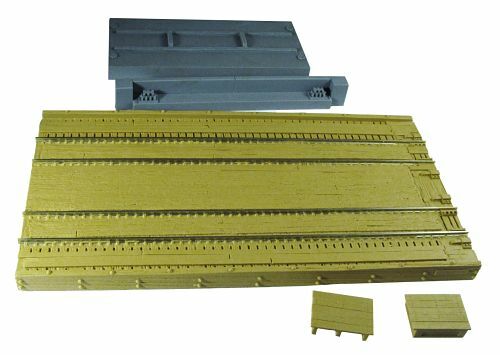 Kit includes a one piece, hand cast resin float bridge, a resin abutment with bridge shoes cast in place, a resin pontoon and 2 resin winch platforms. Also includes 2 highly detailed hand winch kits that include 6 resin pieces: 2 winch frames, 1 large gear, 1 small gear, 1 winch drum, and a hand wheel. Also includes 2 sizes of copper shaft. Approximate dimensions of the bridge, not including abutment and pontoon are: 9” long, 4.85” wide not including the winch platforms. 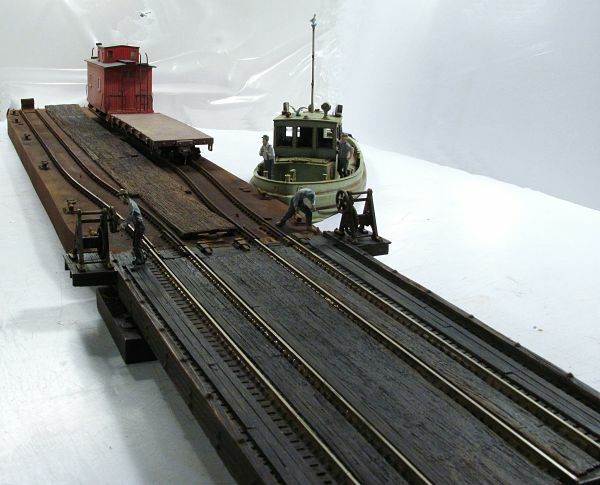 With the abutment and pontoon, the height from the “water” to the top of the rail is approximately .915”. 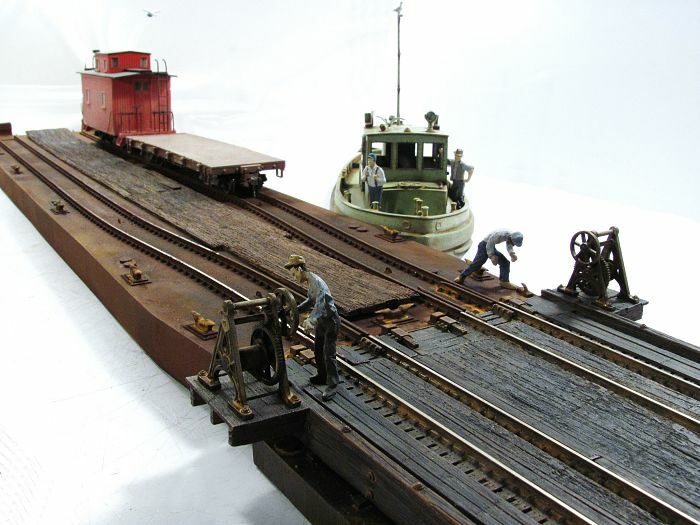 This builds into a beautifully detailed float bridge quickly and easily.